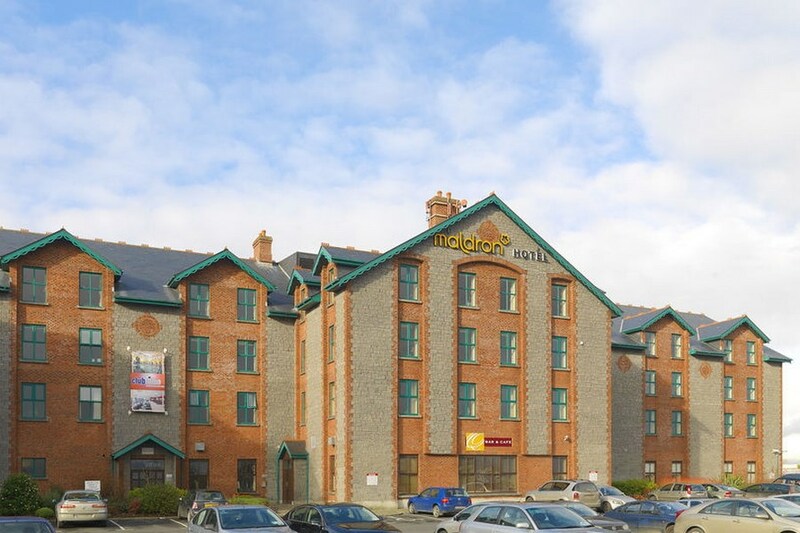 One of best known hotels in Glaway, the Maldron has over 16 years experience and is ideally located just outside the picturesque village of Oranmore, 10km from Galway City Centre. All our guests can enjoy free parking, free WiFi and use of leisure facilities including 20m indoor pool, kids pool, jacuzzi, steam room, sauna and fully equipped gym. Please note additional Terms and Conditions apply to Groups (3 or more rooms). Please contact the Hotel regarding these policies. By making the reservation you agree to Terms & Conditions for Leisure Groups. The Hotel is one the Oranmore roundabout. 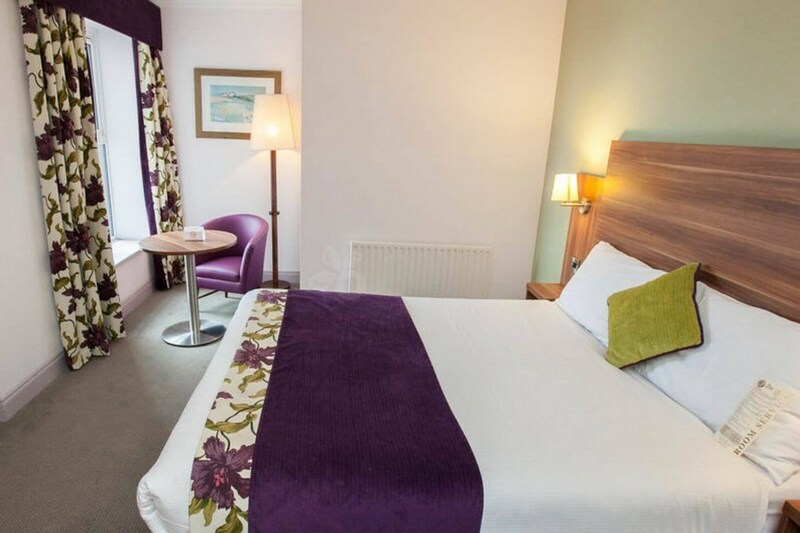 The Hotel is the perfect base for sightseers wishing to explore Galway City, Galway County and the West of Ireland. Lovely welcome, room fine. Bar staff so friendly, he has worked in bar for years. Dinner lovely. Portions huge. Warm rooms. Towels could be bigger, brighter and newer. Breakfast lovely, busy hotel at breakfast. Fruit only downside Could be better fresh choice. On the plus their coffee is really good and they provide take away cups of coffee if you are rushing. Over all best money we spent, price ratio on break away in a long time. Will stay again. We had a wonderful time. Breakfast was great pool was lovely.the staff were really nice and accomodating especially the girl who checked us in. She was Mays employee of the month and I can see why. The only drawback was the heat in the room. We had a fan and only for it we wouldn't have slept. It was pity cause the overall experience was really good. Hotel, staff, food etc was fantastic, really enjoyed our stay and will definately go again. Highly recommend it. Kid's club was abysmal, briefly - turned up at 8:10 for the 8 o clock movie, met another family leaving as nothing was happening. Games room full of broken toys. No kids club on our last night [should have been told in advance]. So if you want a kid's club go to Breaffy House, they have a fantastic one. Hotel is fine if you don't want a kid's club. Room not very spacious for a family of 4 and radiator not working. Although meal was nice, the restaurant was clearly understaffed and had to wait along tome to be served. Table beside us waited 45mins for a bowl of soup. Overall disappointing stay. Excellent staff . Very happy with the food and the price . The only issue we had when entering the room there was a smell of smoke it was like someone had smoked in the bathroom other that we had a great stay and would deffintly be going back and will recommend to my family and friends. Well located few miles from Galway. Free parking. Staff very nice. Hotel and rooms in good repair and clean. Food average. A lovely hotel with a very friendly staff.Had a two night break with two boys under six.Had food in restaurant both nights and it was very good. The leisure centre was fine and they had a kids playroom which was great. Overall would highly reccomend. The hotel and Staff were extremely very good and polite. I did not like the setup of the bar it was like having a drink in a cafe. TheStir restaurant served up some beautiful food and we enjoyed eating there. Our room was on the second floor and we could here children running up and down outside our room untill well after 11 o clock on both nights. On our first night when we finally got some sleep we were woken up at 1.15 by somebody banging on a door to be let in. We were very disappointed for our 2 day stay was not the break we planned. I have stayed many times in the Maldron, Galway and cannot fault it. The staff are courteous and pleasant and the facilities are as you would expect. Our room was spacious and the food is good. Stayed for one night in November. The hotel exceeded our expectations. The room was clean, plenty of hot water. The food was very good. The staff were extremely friendly and helpful throughout the hotel - reception, dining, leisure centre, bar and porters. Although we didn't have our child with us, the hotel seemed very child friendly. We'll definitely stay again. Rooms were lovely..decorated nice and very clean.. The temperature in our family room felt alot cooler than the double room across from ours occupied by other family members.. Beds were made every morning and bathtoom cleaned during our 3 night stay which was great. The indoor childrens playroom leaves alot to be desired. Everything in it was broken and i think it would be better not to have this facility at all if it is not going to be supervised/maintained properly. Staff were friendly and breakfast were very nice. We ate in the bar 2 nights which was also very good quality..
At check in and 3 times during dinner we were advised that voucher (2 courses with tea/coffee) wasn't for 2 courses with tea/coffee but for 18 euro towards dinner,we kept advising that wasn't the offer we had and eventually they ok'd it but they continuously came back to us throughout dinner before that querying it which was frustrating that we kept having to explain. If we hadn't advised I do think the additional cost would have been given to us as a bill after dinner. Dinner was ok,good portions though, however wasn't very hot. Breakfast was good however when breakfast finished, straight away the shutters went down, the housekeeping and kitchen staff came out and started taking the food for themselves and eating it standing up around us. The room itself was good but the heat was stifling. The hotel itself and leisure facilities were very nice, and lots of parking. I had a lovely stay here. The food was top class together with the leisure facilities. Super value also. We had a wonderful stay in the Maldron Oranmore. The staff in particular could not have been any nicer or more helpful. Although it's a little outside Galway, with the frequent buses and good value taxi service this wasn't an issue. In fact, Oranmore itself is a lovely place to visit which could be easily over looked. I would highly recommend this hotel particularly for families and those on a budget. A lovely hotel, the staff were welcoming, most especially the Receptionist. The room was clean and spacious, the pool facilities were clean and stocked with towels, soaps etc. A good value break away. Very enjoyable stay. Staff very friendly. Room very clean and spacious for family. Leisure centre good. Food very nice. Great value overall. Would recommend to others and would stay there again. I really enjoyed mys aty in the maldron hotel on friday 19th and sat 20th sept. It was my first visit to the hotel. The staff were very helpful and polite and mae you feel very welcome and your receptionist was very obliging with our early check in. I would not hesitate and book again and highly recommend your hotel to family and friends. We really enjoyed out stay at the Maldron Hotel Galway. The staff were efficient and friendly. The food was fantastic and the rooms were perfect. I would recommend this hotel to anyone who wanted to be close to the city but not right in the middle of it. It was only a 10 min taxi ride away. The town of Oranmore itself had some great pubs and places to each and is within walking distance of the hotel. Hotel and facilities itself were great. The food in the restaurant was very basic. There was no restaurant menu available until you actually book your table and arrive for dinner. Prior to making a booking we were given the option of using our dinner voucher in the bar to the value of €18 per person. The bar menu has a much wider range, and I regreted not eating in the bar. The food was ok, but nothing special. However I must state it was a cheap break! So I still feel it was value for money. Spent a night here with my husband on a recent visit to Galway. We've stayed here a couple of times over the years and love this hotel. Ideal location for us, excellent service and food, very comfortable rooms. Very convenient clean and friendly hotel. Didn't go in to Galway as planned. had dinner in Boathouse restaurant in Oranmore and well entertained in Keanes Bar until Late! Oranmore is the new Galway. Lovely room.Great stay.Friendly staff.No issues only far too much chlorine in the swimming pool.Our eyes were really sore. Myself, my husband and 2 small kids (2 and 4) stayed in the Maldron for 1 night. We stayed in a family room. We used the leisure centre twice while we were there. It is a really nice hotel with very friendly staff. The ladies in the bar were great and especially understood the needs of two small children. The only thing was that they seemed to be understaffed as there was a lot of delays and had to asked for things on a number of occasions. Would definitely recommend the hotel and we will be back. Had a lovely 2 night family stay at the Maldron Hotel Galway. Room was very spacious and clean and staff were lovely. Would definitely stay again. We all had a great time in the Maldron Hotel Galway would return both kids enjoyed the kids club and the swimming pool close to Galway city for shopping an only two hours from Dublin. Stayed on Friday and Saturday night as a family of 4 - hotel is great, not far from Galway City and handy for Limerick/Clare and the Burren. 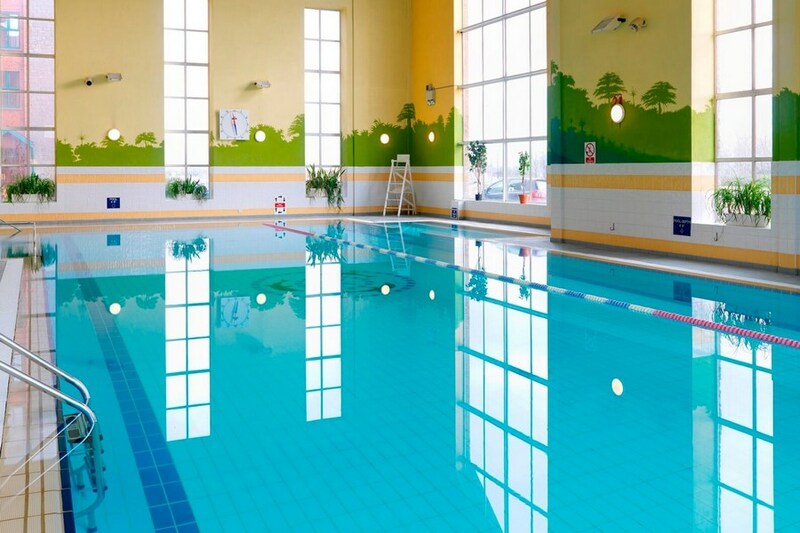 Facilities were spot on with a great swimming pool, sauna, and steam room plus fitness suite. Room was good apart from a rather flat and uncomfortable pull out bed for the 4th person Staff were very friendly and efficient. Dinner and breakfast were excellent with the waiting staff very well led and knowledgeable - one of us is a coeliac and they catered for her well with gluten free bread and sausages for breakfast and a selection of main courses for dinner Would give the hotel 5 stars apart from the disturbed sleep on both nights - two different parties of ladies, one made up of ladies of an age when they should know better, very selfishly caused a lot of noise in the early hours of both mornings. Nothing was done to control these ladies - not good enough for a hotel that proclaims itself to be family friendly. We would be reluctant to return to this hotel, which is a pity, as the staff and facilities were top class. just returned from the maldron galway stayed 3 nights it was our third time to the hotel and we found it to be a very pleasent experience every time with great staff and the pool of course . We booked the hotel at the last minute. We were not expecting a lot, but we were really impressed with the hotel. From booking in to checking out, everything was smooth. Great room, lovely restaurant and most important of all, lovely staff. We really enjoyed our stay. We have just returned from our weekend break in the Maldron hotel and I could not recommend it highly enough. My wife and I and two kids stayed for 2 nights . The facilities were excellent and the Kids club was a real treat. If there was one bad thing it would be the breakfast. My wife would always get scrambled egg while away but she found it very tasteless and a bit watery. The fry itself was very greasy and didn't look that healthy. Besides that I would return and recommend it to my friends. No, I would NOT return here at all. The whole experience was ridiculous. From the moment we entered the cold room, its shoddy bathroom, we knew this was not going to be the treat we thought it was going to be. The staff were friendly, Jason great, (this is the only reason it got even one star!! ), but that’s where it ends. We went to the bar to have a bite & a drink, but it was the most uncomfortable place I have ever been in. We had to move tables so the band could set up, and where we sat had a Gail force wind coming in through the window, so we moved again. Coming up on 11pm and the bar was filled with buggies and young children, we asked is there anyway possible that we could sit in the residents bar, to be told it doesn’t open until 11.30pm. 11.30pm, we made a bee-line for it, only to find all the other kids and buggies had been residing in there. Shortly after 1am, we gave up on a romantic night, children were still running amuck in the residents bar/lounge/matchbox, you could not have a conversation as I could not even hear my husband who sitting next to me. On retuning upstairs, there was more children running riot though the hallways till well after 2pm. I did ask a member of staff earlier, are the children supposed to be in the bar at that hour, he said sorry, that’s the norm here, nothing we can do!!!! I was so upset I wasted so much money on a nightmare night. We recently stayed in the Maldron hotel in Oranmore, Galway. We enjoyed our stay, lovely hotel, good food, friendly and helpful staff. Our room was very nicely decorated, comfortable and clean. It was very busy in the hotel on the saturday night/sunday morning but service was quick and efficient, would definitely return here again. Thanks to all, keep up the good work! Enjoyed my stay at the Maldron hotel. Will definitely reccomend it to others. Room was very clean and comfortable. Front desk staff very friendly and helpful. Leisure facilities / pool very good. Have no complaints whatsoever! Nice hotel, room was spacious. Service helpful and friendly. Breakfast good. Would recommend. All was to our satisfaction, comfortable room and good food...although a lot of noise from the room next to us, bedtime for some people dose'nt start until 1 30am!! on mentioning this at reception when checking out next morning we were very courteously treated and our dinner wine the previous evening was credited from our bill...a very generous gesture which we appreciated very much. Would certainly stay again. We had a lovely stay at the Maldron. The staff was very friendly and helpful especially Claire , one of the waitresses. We had a beautiful meal in the restaurant on Saturday evening and it was very reasonably priced. We then ended our evening with an extremely enjoyable time in the bar. The band "Nite Flite" was playing ,what a brilliant band they are, they played music for young and not so young. The rooms was spotless and spacious. We would definitely recommend this hotel.